When someone wins the lottery, they go shopping. The same is true of tech companies. When they get that injection of VC funding, the capital comes with the implicit understanding that the company will grow rapidly in the coming months. This requires great hires and new tools that scale with the business. If your SDRs (Sales Development Reps) aren’t following the news on who’s next in the funding queue or who just got a series A, then they are seriously dropping the ball. Here’s why the news from Sand Hill Road should be at the forefront of your sales team’s mind, and how you can make sure it is. When a company takes VC money, investors are expecting a return on their dollar. Even if a startup has been frugal so far, once investors are involved, the cash is expected to be burned to capture more market. That money is spent on two things: people and products. A newly-funded company will aggressively hire in all departments— Product to scale the app, Marketing to reach more customers, Sales to close more customers, Success to keep more customers. As an SDR, your product is going to fit into one or more of those categories. That means that the moment of funding is almost the ideal time to reach out to these growing companies and start talking. We say “almost” because there is a better time to reach out—just before they are funded. Starting a relationship with these companies in the run up to their raise means that they’ll be primed to think of you when they are making their initial buying decisions. Efficiency tools: This is the basic. Maybe until now they had been using Google Sheets to track revenue. At this point, the company can go out and look for the tools they need to start optimizing their workflow that they were missing before—finance tools, onboarding tools, CRMs. The essentials that a SaaS company needs to function optimally. Expansion tools: These are the tools that will help them deal with more customers and a larger team. It might mean starting to use back-office HR platforms to help new hires, or more effective customer communication apps to help your customer success team talk to new customers. Level-up tools: These tools are necessary when going after higher quantity or higher quality customers. They might already be using the entry-level products for a particular function but want to take the step up to increase capacity. So it might be moving to Salesforce as the CRM from a smaller option, or going from MailChimp to HubSpot for marketing automation. Wish-list tools: Finally, there are tools that aren’t strictly necessary, but the team will want to try out anyway. These could be bleeding-edge predictive tools for marketing or sales that sound good. When money is slightly less of an issue, there will be a higher willingness to try out completely new opportunities. 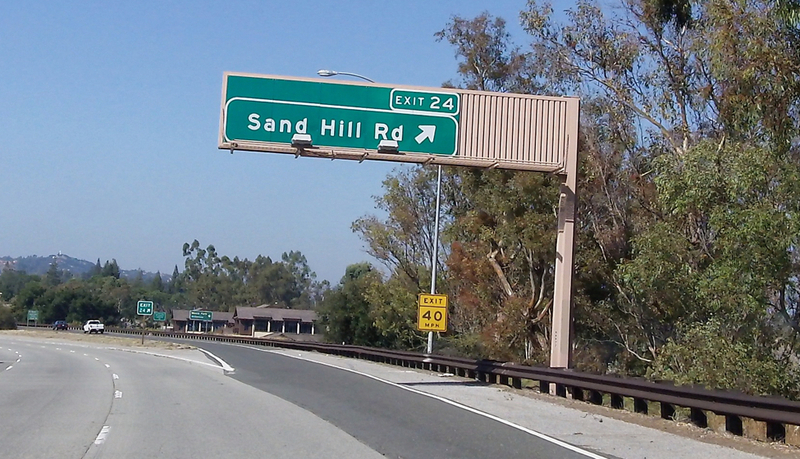 This is why SDRs need to be ahead of the curve about what is happening on Sand Hill Road. If your team knows who is likely to raise next, then you are automatically ahead of your competitors. Do they have the Budget: Absolutely! They have just had that injection of cash, so they have a budget like never before. Do they have the Authority: Probably. As they are likely to still be a small team, then the person you are reaching out to probably does have buying power. Do they have the Need: Definitely! They now need to show MoM and QoQ growth consistently and need the tools to start doing that now. Is this the right Timing: Certainly! Again, budget and need have combined so that this is the time they need to start investing. Three out of the four criteria are answered through funding. Now they just have to find all these ideal customers. In 2015, we gave away a spreadsheet with the 40 fastest growing startups that we thought were going to raise money in the near future. We were right. 35% of those companies have gone on to raise money. One, DataHero, raised $1.6 million in it’s Series A the very next day. 50% of the top 20 on that list raised funding. 4 out of the top 5 were funded. Earnest: The loan program raised $75M in a Series B six months after we released the spreadsheet (right about when we said they would). They have 4X the team since. Managed by Q: The office management company has raised $70M since the spreadsheet was published in Series A, B, and C rounds. They had 39 employees in mid-2015, they are now at 196. Jiff: This health benefits platform raised over $40M in their Series C in 2016. Headcount has doubled. Amplitude: The product analytics platform had a $9M Series A a few months after our report, and a $15M Series B less than a year later. When we marked them for success the team was only 14 people. Now it’s 62. In total, the companies from our list that got funding raised over $300,000,000. Sales teams that used that spreadsheet took home a slice of that $300M. Of course, we would have loved a 100% hit rate. But your sales team would give an arm and a leg to know that one out of three companies they were contacting was going to have the B, N and T from BANT very soon. Sales is now a research-driven endeavor. You can still play the numbers game. But it is inefficient. You’ll use up your team’s energy and time and your company’s money chasing leads that are going nowhere. Or your team can look for the growth signals that suggest companies are in a prime position for an injection of capital and the upgrade in infrastructure that accompanies it. Growth score over 400: This is part of Mattermark’s “secret sauce,” but integrates business metrics from the company alongside our Mindshare Score, which uses web traffic, links, and social sharing to estimate the current impact of the company. Employee count less than 100: If a company’s team is already considerable, it is a sign that they don’t necessarily have the room for that expansion growth. They have probably already made those buying decisions. Employee MoM growth over 15%: But we do want to see them consistently adding to the team. This is an excellent growth signal that the company is headed towards funding. Last funding date more than 6 months previously: If they have been funded recently (say, within the last six months), then it’s unlikely that they will be looking to raise again so soon. Though, like Amplitude, some companies can be growing at such a rate they take on two independent series of funding within a short timeframe. Ordered by growth score, as the initial list was, this has ethical cosmetics company Thrive Causemetics as the company that everyone should be have on their call sheet. SaaS-for-schools platform DeansList is the other company that seems poised for further investment. They have massively increased their team, have a high growth score, and are still in the seed rounds. We can also flip this around. You want to build up a relationship with these companies before they get funded, lest they think you only love them for their money. But reaching out at the vital moment of investment when founders are both terrified and excited about what to do next can also be a successful strategy for your sales team. On February 22nd, 23 companies raised a total of $253.31M. That’s 23 companies that on February 23rd were looking to buy a new CRM, expand their marketing, and gear up for new employees. If your SDRs know what’s happening, then they can follow the money. You shouldn’t use this information for evil. Printing out a list of yesterday’s raisers as today’s call sheet is not a sales strategy. Instead this should be a further qualification criteria to narrow down your funnel in your account-based sales strategy. You should still only pursue prospects that fit your ideal customer profile, but timing it so they are at the peak of their funding capabilities means that you will seem an even more ideal match for their needs. That way, you get a great customer that will grow with you, and they’ll get a great product that will drive them to even further success.